As a Long and Foster & Christie's International sales agent, Charles LeGette is dedicated to delivering superior customer service. His passionate approach provides the utmost care, real estate knowledge and diplomacy to a diverse contingent of buyers and sellers. Ever since childhood Charles has admired the wonderful and awe-inspiring architecture of the nation's capital. With a deep-rooted passion for arts and culture, Charles came to D.C. nearly a decade ago for a unique opportunity at the Embassy of France. While at the Embassy, Charles worked in operations for the French-American Cultural Foundation, marketing and facilitating audience development for the Embassy's varied cultural programs as well as France Magazine. Prior to moving to Washington, Charles lived in New York, working for arts organizations that include ICM Artists and Lincoln Center. He holds a Masters Degree from Carnegie Mellon University and an Undergraduate Degree from the College of Charleston. Originally from Louisville, Kentucky, Charles has an innate palate for delicious bourbon, fast horses, wry wit and savory cuisine. An admirer of its downtown revitalization and innovation, Charles is thrilled to be part of that invigorating development in Washington, D.C. He loves exploring the District on foot and by bike, always taking time to savor cuisine from the City's vibrant restaurant scene. Not only does Charles have a comprehensive view of the Washington metro area, he helps his clients nationally and internationally. 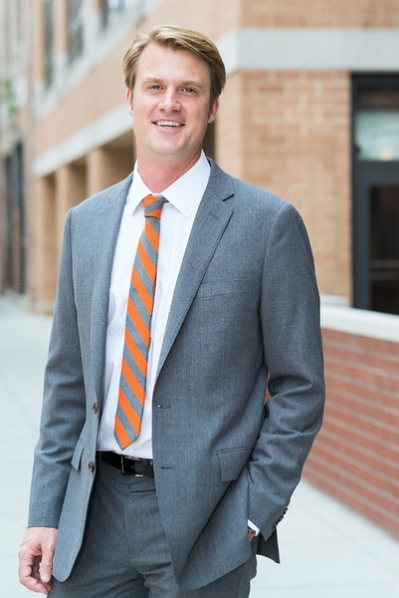 In addition to his keen sense of customer service, Charles's efficiency, integrity, education, interpersonal, organizational and technological skills are all assets that supplement his heartfelt attention to servicing his clients' real estate needs in Washington and beyond. Click HERE to subscribe to Charles's mailing list! Modern contemporary 1 bedroom condo located in Brand New building at 1745 N St. Beautiful hardwood floors, large open kitchen, with highend appliances and gas cooking. Large windows allow for ample light and the custom closets are great for organizing and storage. Double sinks in the master bathroom with a large soaking tub to relax in. 1 Block from Dupont Circle. 97 walkscore and a 100 transit score.